Whether you’re heading to the grocery store, cooking or baking, planning a vacation, or redecorating a room, there is math involved. By simply engaging in a conversation about numbers and their relation to whatever you’re doing, you’ll get those wheels turning. Better yet, show your children how math applies practically to life. For example, the next time you’re setting out to the grocery store, hand your kids clipboards and pencils and give them a spending limit. Give yourself plenty of extra time and have them help you stay under budget, track your spending, and make purchasing decisions. When you get to the register, it’ll be fun to see how accurate your total was calculated. If you’ve got a summer road trip planned, choose an audiobook to enjoy as a family. Headphones off, eyes out the window, and all ears enjoying the same story together! 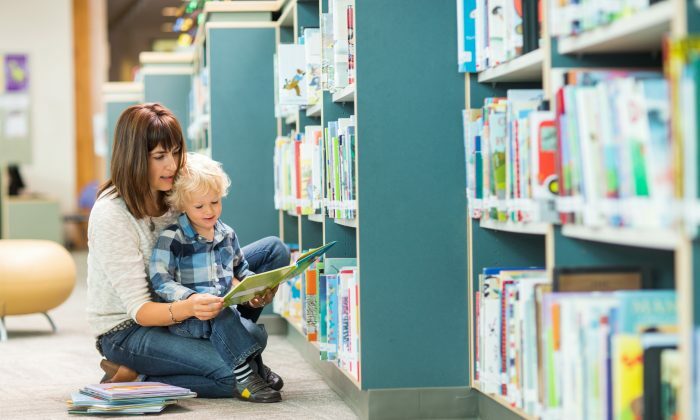 Coupling great literature with cherished family memories is an excellent way to encourage a love of reading and enhance your child’s understanding of language. It’s also a great joy. There are innumerable recordings available for sale everywhere you’d expect. Also check out Librivox for free readings (many of excellent quality) of public domain books. Encourage the practice of writing by sharing a journal with your child. You write them a note, a joke, or a story and then they write you back. Your child will love it and hardly notice they’re practicing their writing skills. The more you can reduce screen time, the more your children will benefit from activities that require active (rather than passive) brain activity. As much as you can, try to gently encourage a consistent sleep schedule and ensure your children are getting the proper nutrition. Ice cream for dinner can be glorious, but we need to balance that out with nutrient-rich foods for growing bodies. There are many wonderful fruits and vegetables in season this time of year. Perhaps a visit to a local farm or farmers market can be a fun activity to get nutrition back on track. Plan a library outing and allow your children to browse to their heart’s content. Don’t miss sections beyond the children’s area. In nonfiction, you can find books about any subject under the sun: crafts, gardening, trains, dinosaurs, sports, space, and so on. Max out those library cards before you leave and enjoy hours of silence when you get home as they comb through their treasures.